Centurio senex, or Wrinkle-faced bat. Nature's hideous but effective juicer. 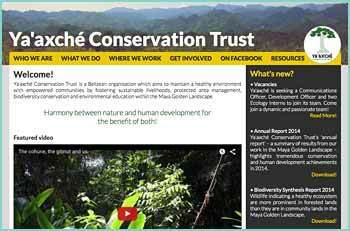 Ya’axché Conservation Trust made a great discovery during an on-going bat survey to record the range of bats found across southern Belize. 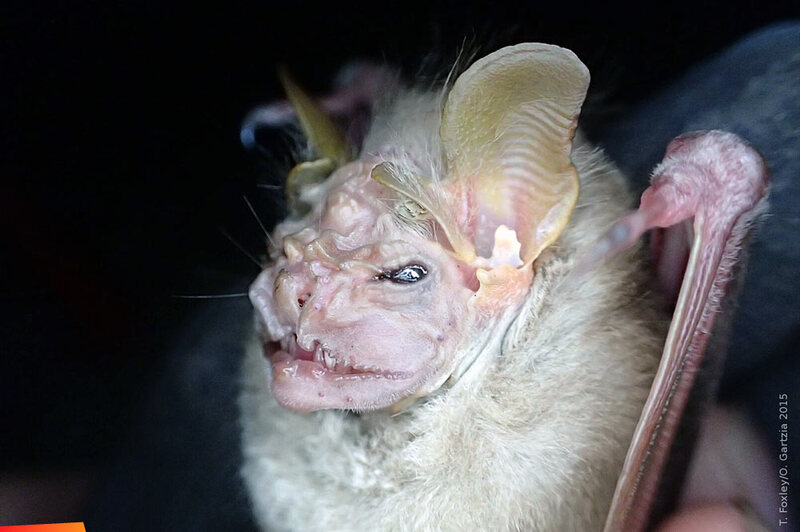 Ya’axché Research Coordinator, Olatz Gartzia and bat specialist, Tom Foxley, found a bat with a face full of wrinkles name Centurio senex in Bladen Nature Reserve on February 20th 2015. Its name translates into Centurio meaning 'a hundred' and senex 'old man'. Obviously the biologist naming this bat thought it looked like a hundred year old man. The wrinkle faced bat, besides possessing a face full of skin folds, has the greatest known bite force of any bat, in relation to its head size. A strong bite gives this bat the ability to consume hard fruits when other resources are limited. A study found that it achieves its hard bite partly due to an exceptionally short and wide skull. Males have larger and more numerous skill folds on their face and may be linked to attracting a partner – the more wrinkles they have, the more attractive they are. Another interesting characteristic is a large, retractable skin fold on its neck, which can be extended to cover part of its face. Researchers still don't understand the exact function of this mask. Although it is widely distributed, many researchers point out that it is a rare species and is difficult to find in large numbers at any given location and warn this species is vulnerable to habitat change. Owing to its rarity little is known about its feeding, roosting or reproductive behaviour. In addition to its impressive look and great biting force, the wrinkle-faced bat is a unique animal that transports plant seeds to different locations, contributing to the natural regeneration of Belizean forests, a very important task bats carry out for us every night! The wrinkle-faced bat is a species of bat in the family Phyllostomidae. It is the only identified member of the genus Centurio. It is found in various countries in and around Central America.